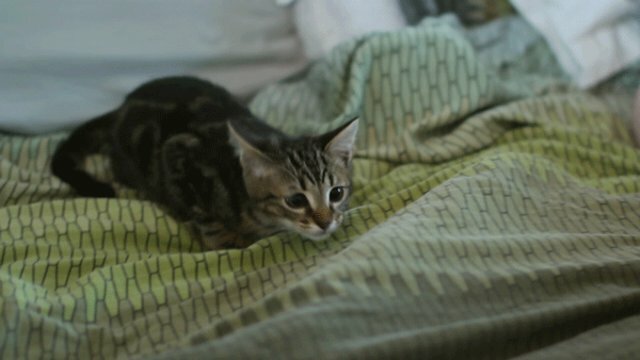 These kittens are the toughest kids on the block, no doubt about it! Don't mess with them, or you'll get a face-full of fuzz. Which, let's be honest, wouldn't be such a bad way to go. 1. This poor hand was toddling along, unsuspectingly, when it was violently assaulted. 2. 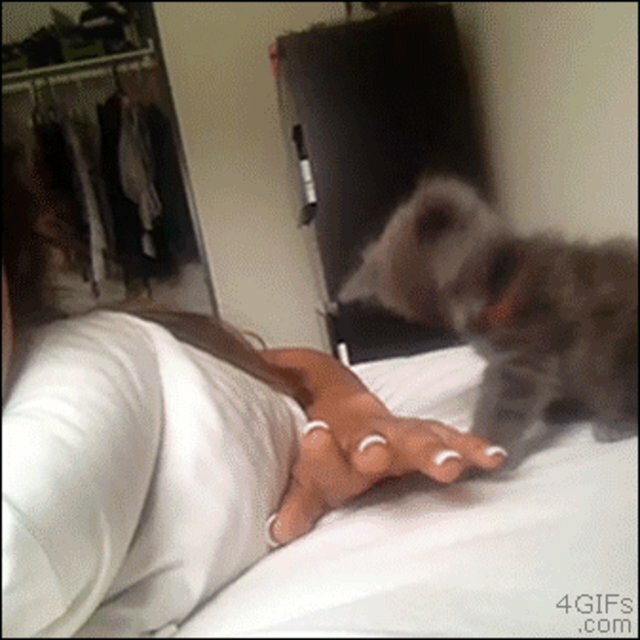 This kitten had to rev up a little before he made his impressive pounce. 3. 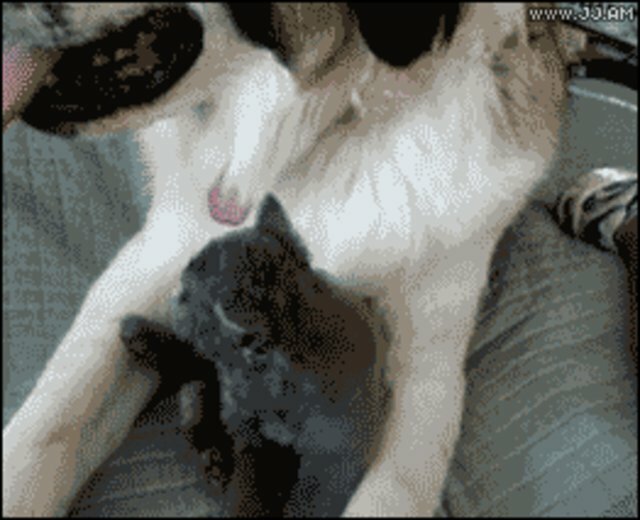 This dog just barely escaped the fury of this kitten's wrath. 4. Even house slippers couldn't stop this fierceness. 5. 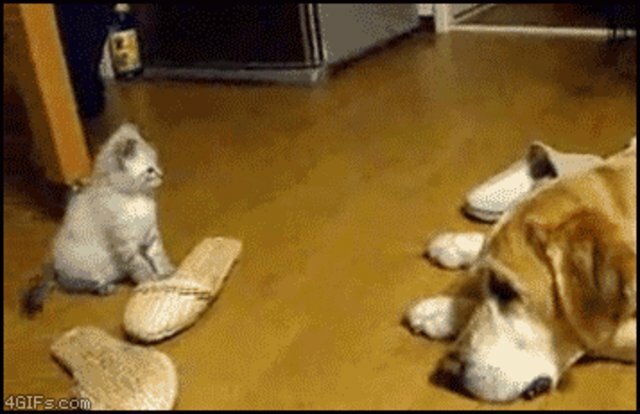 This poor foot had no idea what to do when confronted with this kitten gang. 6. 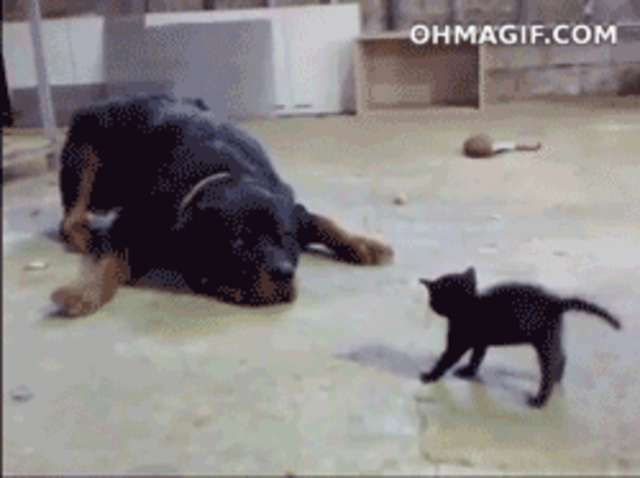 This Rottweiler finds himself helplessly cornered by a hulking presence. 7. 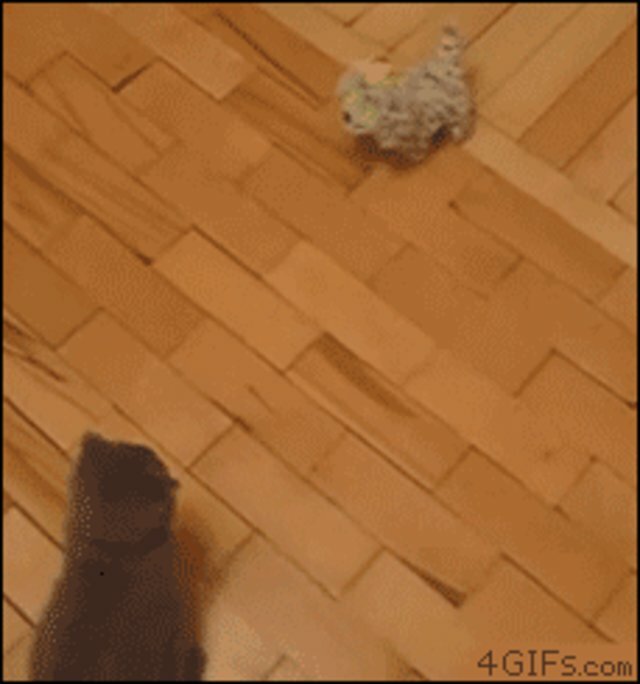 This naive toy had no idea what hit it. 8. This comforter can't help but quake with fear.